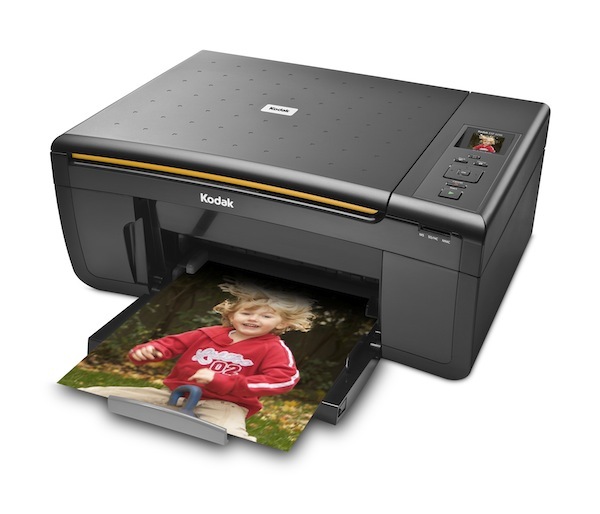 The Kodak ESP 3250 is a photo inkjet printer with added scan and copy functionality in a fairly compact package, comparable with many models like it. 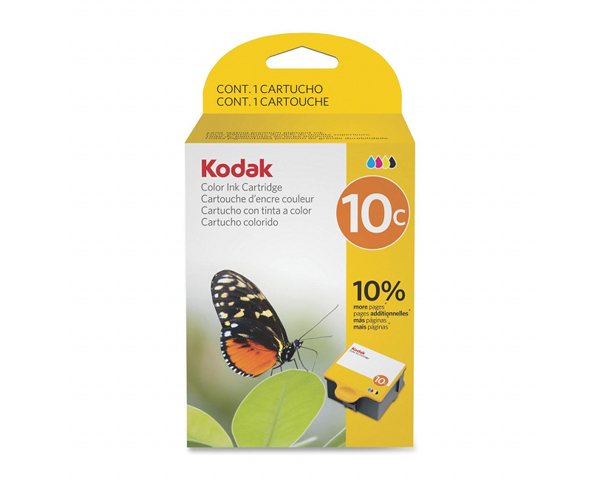 It offers an extremely low entry cost into the world of photo printing, but lacks many features that only a slight increase in expense would make available as a consequence. The printer measures 16.6" by 11.8" by 6.9" and weighs 14 lbs, consistent with most models like it. It can be easily positioned on a desk or table alongside other equipment likely with little inconvenience. The printer produces documents at a maximum resolution of 9600 dpi when printing in color and no rating when printing in monochrome. The printer can produce documents at speeds up to 30 pages per minute in black and up to 29 pages per minute in color and can produce a borderless 4" by 6" photo in 29 seconds or less. It supports printing standard-size borderless photos as large as 8.5" by 11" as well as A4 and 8.5" by 14" documents. The printer has a maximum capacity of 100 sheets of standard-sized paper or 20 sheets of photo paper. Documents can be sized between 4" by 6" and 8.5" by 14". The printer includes several memory card readers, allowing it to print directly from Secure Digital, Secure Digital High Capacity, MINI SD, Multimedia Card, Memory Stick, and Memory Stick Pro digital media. The built-in copier includes one-touch color copy functions, eliminating the need for computer-based drivers or copying software. 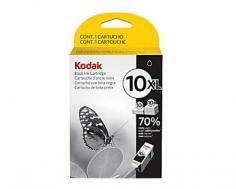 It also includes a 20-400% reduce/enlarge function and the ability to produce a maximum of 99 copies at a time. The included scanner produces documents up to 1200 DPI at a bit depth of 24-bit with support for documents as large as 8.5" by 11.7". The printer connects via USB 2.0 and has a 1.5" LCD built-in for status updates and manipulation of documents being printed or copied without the involvement of a computer. The printer supports Windows XP (running Service Pack 2) or newer, as well as Mac OS X 10.4.8 or newer. Options for networked printing are unavailable on this printer, requiring that you connect the printer to an external print server if desired or share the printer via printer sharing, which will require that the system the printer's connected to be online whenever you need to make prints. Many models only slightly more expensive offer this, or wireless connectivity, or printing via Bluetooth, built-in. The printer lacks PictBridge support, offered by many comparable models to increase convenience by allowing users to directly connect cameras and other USB devices to the printer. The printer lacks automatic duplexing and other paper finishing options, or an automatic document feeder, as offered by slightly higher-end consumer-grade photo printers like this one. Kodak's included software limits some features in its Mac OS X drivers, requiring third-party software and additional expenses to achieve what's provided for Windows users. The printer has only a single paper-intake slot designed to contain up to 100 sheets of plain paper, 20 sheets of photo paper, or 20 envelopes, requiring users to switch paper types before printing to a specific sized document. Users complain that while the printer's photo print quality is often quite good, its text printing and plain paper printing are inferior to many other models. Review it: "Kodak ESP 3250 "
Ink is divided into black and color cartridges (some high definition photo printers offer ink split up into 5, 8, or 12 colors to bring down costs and allow for only individual drained colors to be replaced and also to provide multiple blacks) rated at 425 and 420 pages, respectively. The ESP-3250's ink is rated to last a lifetime, resist water, and dry instantly to ensure preservation.